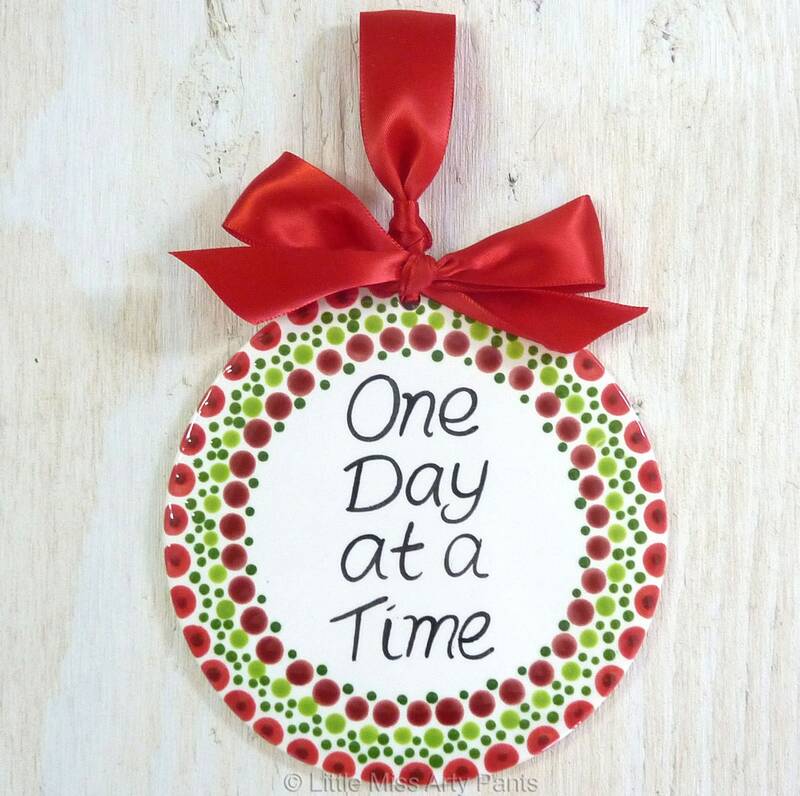 This 5" Round Flat Ceramic Ornament is hand painted with the slogan "One Day at a Time". The ornament is made with Love & Gratitude! Makes a great gift! 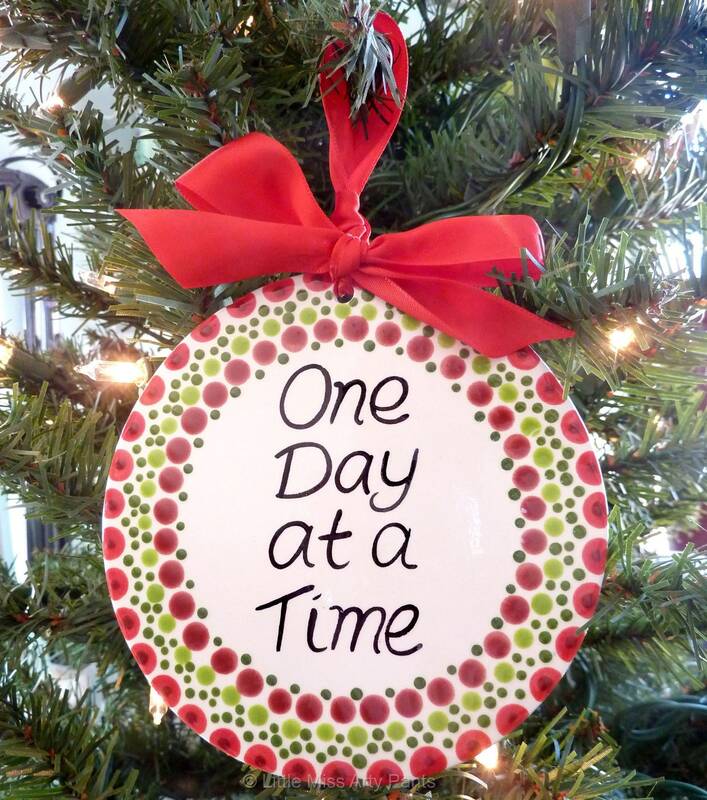 Ornament will ship in 1-3 business days.